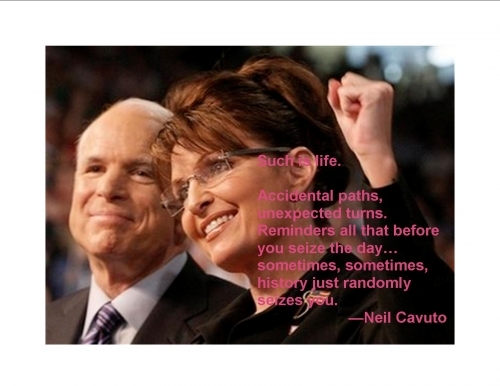 Three years ago, on August 29, 2008, Senator John McCain introduced the nation to Governor Sarah Palin. She was number two on that ticket, but she fired up the American people who came out to hear her speak. As they learned more about her, they discovered how much they respected her accomplishments, shared her values, and embraced her patriotism. They knew she was an asset to America. I have always voiced great appreciation for Senator McCain’s military service. He is an American hero, without question. Unfortunately, however, as a presidential candidate, he ran a campaign that did not serve him well. In addition, he surrounded the Governor with some people who were threatened by her, failed to see her strengths, and undermined her–even more so after the campaign. He subjected his VP pick to people who made choices that were naive at best and ill-intentioned at worst. I must not fail to say, however, that she was assigned some very good people who were–and are–loyal to her, people like Jason Recher, who is among the best of the best. How has she handled the undeserved blame heaped upon her by people trying to protect their own futures and hide their own weaknesses? Well, let’s just say she’s The Undefeated . And let’s not forget that she has led on all issues that the American people have found important: health care, job creation, taxes, foreign policy, energy. She is largely responsible for the shellacking Democrats suffered in the 2010 mid-term elections. Her endorsements were game-changers. She has fearlessly taken President Obama to task for his failed policies. She has shown an unfailing belief in American exceptionalism and an unwavering commitment to a fundamental restoration of this country. She has laid it all on the line. So while she was tapped in 2008 as #2, she may soon be announcing that she will be #1 on the 2012 GOP ticket. Some people think she will announce in Iowa on September 3rd, the anniversary of her exemplary RNC speech, and some expected her to announce today, on this anniversary of McCain’s bringing her out onto the national stage. I expected neither because I can’t imagine her doing anything that even slightly resembles or is linked to the old McCain campaign. Governor Palin is paving her own way, and I believe she wants that to be clearly recognizable by everyone paying attention. Though some of the GOP machine have dismissed Governor Palin, and others want her to remain on the sidelines cheering on lesser-qualified candidates, common sense Americans, including myself, have been anticipating her run for president for three years. Whether she will or won’t will soon be revealed, for in just a few weeks, the Governor has said, she will let us know her decision. * Happy Anniversary, Todd and Governor Palin. * In appreciation for Senator McCain’s brilliant VP pick, I absolutely must wish him a Happy Birthday today. Happy 23rd Anniversary to Todd and Sarah Palin! Today is Governor and Todd Palin’s 23rd anniversary. On behalf of all the SPIB authors, I want to wish them a happy anniversary and many blessings in the years ahead in their marriage. 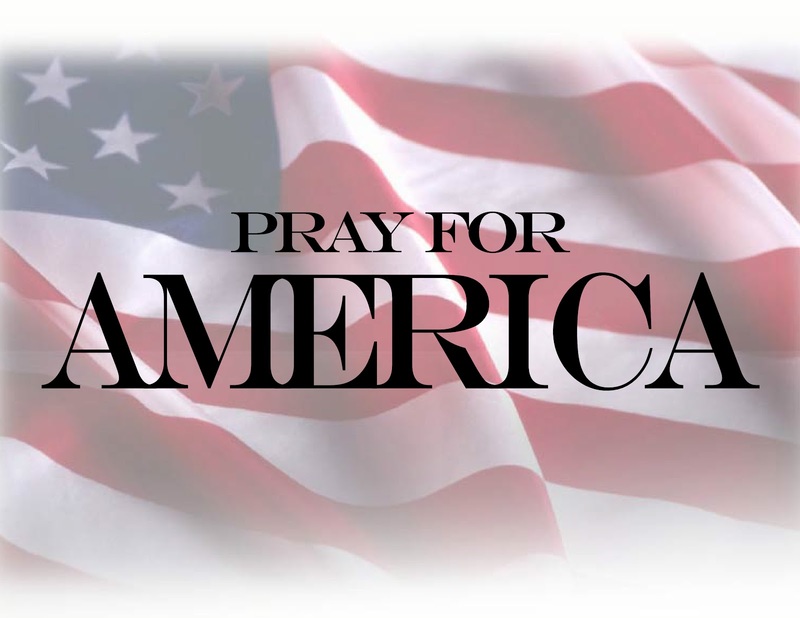 They have been a role model for Americans as a couple, as parents, and as public servants. We look forward to following their progress as they continue to lead. Of course, we also hope that we will be calling them Madame President and First Dude in January 2013! Three years ago today at 1226 EDT, Presidential Candidate John McCain introduced former Alaska Governor Sarah Palin to the world. While some of the conservative cognoscente knew who she was and advocated for her to be McCain’s running mate, Gov. Palin was unknown for most of us until that moment. Instantly, the unknown Gov. Palin became a household name and remains so today. Palin blogs and websites were few and far between that day. Likely not a single site with “4P” in its name existed then. Today, over 100 dedicated Palin sites support Gov. Palin and possibly an equal number of hate sites try to destroy her. Three years ago today, I caught her speech a few moments after it begun as I left my employee lot to get a Gatorade lunch. I did not know her name. I did not know what she looked like. In the two blocks I drove before I had to pull over to the side of the road, Gov. Palin – SARAH – rocked my world, divided my calendar, and got a political observer active. I heard the spirit of President Reagan resurrected in a woman’s body. The first great leader we had seen in a generation was emerging. That day, Gov. Palin stole my heart. She finished the job not even six weeks later, when she signed it in Bethlehem, PA, once again rocking my world and dividing my calendar. Gov. Palin has accomplished much in these three years. To simply link to all them would fill over 100 pages. In her final seven months as Alaska’s Governor, Sarah Palin accomplished more than seven of New York State’s governors had in 50 years. When she selflessly stepped down to stanch the flow of frivolous ethics complaints, Gov. Palin’s trajectory soared even higher. She authored two books, hosted an eight-part documentary series on her home state, was the subject of a full-length feature movie, became a sought-after speaker commanding top honorarium, and is a Fox News contributor. She conducted humanitarian missions in cholera- and earthquake-wracked Haiti and in Alabama following devastating tornadoes. The former Alaska governor has raised over $120,000 for wounded soldiers, walked for autism, and the March of Dimes, among others. During her final seven months as Governor, Sarah Palin coordinated and led an airlift to distressed villages in remote western Alaska, sacrificing the political primping and priming, champagne and caviar of the 2009 CPAC conference. The little children to whom she personally distributed supplies were far more important than the Washington DC elites. Around that time, SarahPAC was born. Soon, SarahPAC – which did not yet exist three years ago today – may become far less important, being supplanted by a Presidential campaign. Since becoming a private citizen, Gov. Palin has traveled to Hong Kong, Canada, India, and Israel. In Israel, Gov. Palin met and broke bread with Prime Minister Benyamin Netanyahu. She is arguably the only private citizen who met, dined and spent a substantial amount of time with a head of state in recent history. Though Gov. Palin has long been an energy expert, she honed her acumen in economics and foreign policy over these past three years. Her writings have been featured in the Wall Street Journal. Where were you when…Gov. Palin shattered a glass ceiling with her sonic boom? Ohio is one of the all important swing states, a must win, if someone wants to become President of the United States. Making a favorable impression on Ohioans goes a long way towards winning over the entire nation. Though some national polls that over sample democrats and don’t include likely voters [the only reliable group to sample] have shown Sarah Palin has a “favorability problem,” every legit poll that specifically targets likely Republican voters and Republican leaning independents has shown Sarah Palin to have the best favorability among the candidates. This has been consistent since serious polling for 2012 started. Ohio is no different. Democrat polling firm PPP’s latest poll shows Governor Palin has 65% approval rating as compared to Rick Perry at 50%. We’re 15 months out from the general election of November 2012, and some 8 to 10 months away from settling the primaries. That’s too far away to use votes as a guide as to who will be the Republican nominee. In fact, history shows those who lead early also peak early, and rarely make the final cut of candidates vying for the nomination. After all, other than a few debates, no one is really campaigning yet. Favorability is the key this early on. The fact that Sarah’s favorability is always higher than any one else, among the folks who will actually nominate her, is the key. High favorability means people will listen to what she has to say, and once she starts putting forth more of her plans to Revive, Renew, and Restore America, the likelihood of a large, receptive audience is far greater than with any other candidate. A lot of folks live and die by polls that show supposed vote count, and over a long period of time one can spot certain trends, but the numbers to look at this far out are the ones measuring favorability. Those trends show Sarah Palin is consistently seen in the best light by Republicans and Republican leaning independents. In my opinion, favorability equates to potential voters. At the very least it means a large group of people who will listen to what a candidate has to say. In a key state like Ohio this spells trouble, not only for the rest of the Republican candidates, but Barack Obama too. Former presidential candidate and multi-millionaire publisher Steve Forbes stated that “Palin will run” in a wide ranging, challenging interview on the BBC’s “Hardtalk”. The host, Stephen Sackur, pressed Forbes hard on his attitude to what needed to be done to rescue and restore the American economy, and Forbes not only gave clear, concise answers, but presented the conservative point of view in sharp reply to pointed questions . Sackur seemed to be questioning from the state intervention viewpoint, which would be expected from someone coming from an interventionist country. Forbes made the point in reply that such a system has failed, not only in Britain, but in the USA under the Obama administration. Forbes was clear that not only did the fault lie with the interventionist Fed, but that the Bush administration was at fault as well. The answer for the future was, that as well as his economic prescriptions, and to ensure that politicians did not make the same mistakes over and over again, voters needed to elect responsible members to congress such as those the Tea Party provided support for. When asked who he would support from amongst the current GOP presidential contenders Forbes said that he had not made up his mind yet. He would do so “over the next few weeks as there may be others who might enter the race”. He made the point that Perry is on a learning curve, as his strident statements about Bernanke might suit a local race, but were not so suitable for the wider race he has embarked upon. When Sackur asked him pointedly if he thought that further contenders might include Sarah Palin “whom you have made supportive comments about in the past” Forbes said that he thought she would enter the race, and he would make his mind up shortly as to whom he would support. My interpretation is that Forbes would support Palin, a key Tea Party player as, perhaps, someone he would see as being true to Tea Party ideals and policies should she get elected. Further she is battled hardened on the national scene, unlike Perry, and could enter the fray without the learning curve, or for that matter the vetting, he is being subjected to. The fact that Forbes hasn’t settled on a candidate to support and has, it appears to me, indicated he will wait until Palin declares one way or the other, bodes very well for her should she decide to run as his support would be a valuable asset.